The Australian Government is seriously considering radical changes to research funding where the major criterion would be the potential applications of a project, rather than its scientific value and rigour. This crazy idea, so intuitively appealing to politicians, has long been shown to be without foundation (e.g. Sir John Cadogan’s report at http://learnedsocietywales.ac.uk/node/539), but speaking truth to power seldom changes bull-headed minds. Nevertheless, I have had a go in a letter to the Sydney Morning Herald (http://www.smh.com.au/comment/smh-letters/syrian-mess-needs-political-solution-20151117-gl0vxg.html), which will also find its way via personal channels to the Prime Minister Malcolm Turnbull. Probably it will have all the impact of a rose petal dropped down the Grand Canyon, but one can but try. 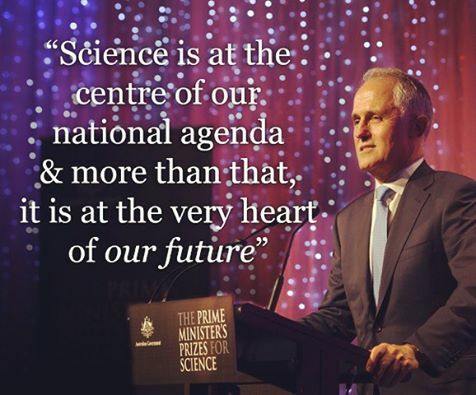 The Turnbull Government will put more emphasis on “engagement” and “impact” in funding research. Who could argue with that? Well, industry should, because the most profitable outcomes of university research have been those that were both unforeseen and unforeseeable. Just to give one example, the general theory of relativity (100th anniversary this year) might seem remote and academic, but your GPS system wouldn’t work without it. No, Mr Turnbull, what you need to be supporting is diversity in research, rather than attempting to second-guess which research might lead to profitable outcomes. By all means promote closer industry links, but in diversity lies Australia’s strength, and Australia’s future.